How about another photo of a ruin? 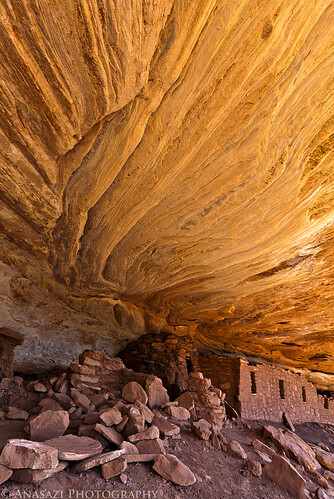 These particular ruins are actually found right around the corner from the famous Moon House ruins on Cedar Mesa. What stuck me about this ruin was actually the nice glow of reflected light off of the golden-colored ceiling. I just had to take a photo that emphasized the lines and color of the ceiling above this ruin, and I really like the outcome.